Thanks to a heads up by our good friend VizionGamer via our twitter feed, we have learnt of the release of the English translation for Ace Combat 3 on the Playstation 1 by Team NEMO. 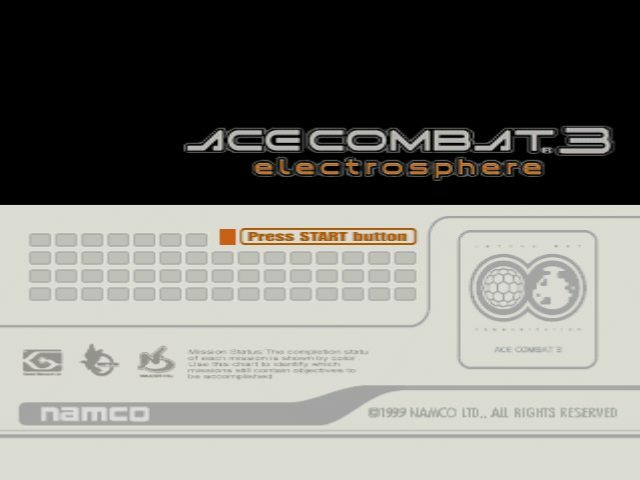 You probably haven't heard of this game before, that's because the better version was released in Japan in 1999 as Ace Combat 3 : Electrosphere; an arcade air combat game by Namco. The problem was with the game and according to romhacking, the original story was altered and the characters were cut from the NTSC-U and PAL regions. Now thanks to Team Nemo the original Japanese game is back as it should be, but this time all 52+ missions are now in English! Ace Combat 3 is notable for its branching story-line spread across two discs, 5 different endings, high-quality graphics, a futuristic soundtrack and, last but not least, anime cut-scenes by Production I.G (Patlabor 2, Ghost in the Shell). The first mission features localization work done by Guest Localizer Agness Kaku (Metal Gear Solid 2, D2). The patch is in the xdelta format. Use xdeltaUI or DeltaPatcherLite in order to patch your copy of the game. If using xdeltaUI, the MD5 checksum (see below) must match or it won’t apply the patch. As an alternative, you can try DeltaPatcherLite with “Checksum validation” unchecked. Fully working with PS1 emulators, both accurate and enhanced. Also compatible with actual PlayStation consoles.